“Our purpose is to respond to God’s Call to mission and ministry in the northern regions of Canada.” – from the Council of the North Policy Handbook. The Council of the North is a grouping of financially assisted dioceses, which are supported through grants by General Synod. There are seven dioceses, the Territory of the People (formerly Anglican Parishes of the Central Interior) and the Indigenous Spiritual Ministry of Mishamikoweesh. They are in sparsely populated areas such as the Arctic, Yukon, Northern and Central Interior British Columbia, Alberta, northern Saskatchewan and Manitoba, and northern Ontario. The Council of the North is comprised of all bishops of the assisted dioceses in the Anglican Church of Canada. The Council administers the General Synod’s grants for northern mission and meets twice a year to share information about the unique challenges faced by smaller ministries in the north. They work together to provide pastoral and sacramental ministry to all who are living in isolated communities in Canada’s North. The chair of the council is Bishop William Cliff, Diocese of Brandon. 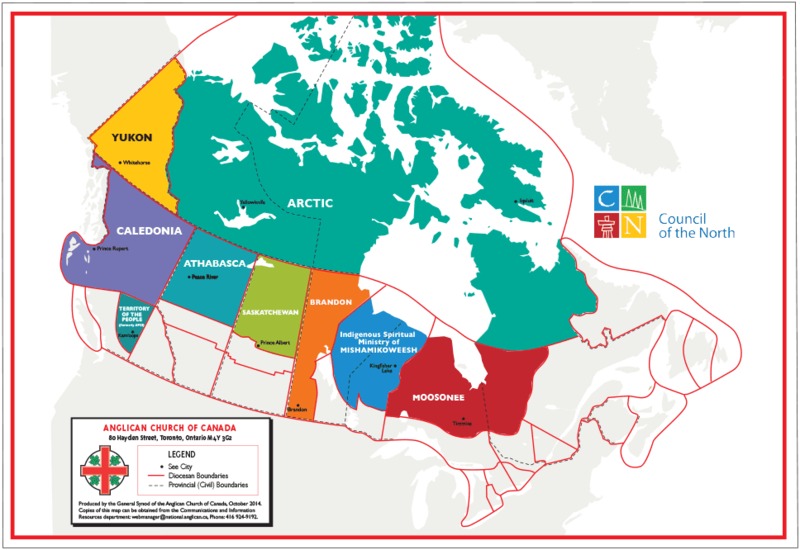 The Council of the North began in 1970 when the National Executive Council of the General Synod of the Anglican Church of Canada appointed a taskforce to consider the challenges and opportunities for ministry in the northern parts of Canada. The following year this taskforce was replaced with the Primate’s Taskforce on the Church in the North. In 1973 this taskforce became the Primate’s Council on the North. By 1976 this body had evolved into the present Council of the North. The Council of the North is aware of the financial challenges facing all levels of the church today. To that end the Council is working in partnership with the Resources for Mission department and others to raise the funds needed for ministry projects. The Council is moving from mission shaped structure to structure shaped by mission. Will you join those living and working in the area served by the Council on this journey? If you or your parish are interested in supporting the Council of the North please contact Bishop William Cliff, incoming Chair of the Council, and he will assist you. For all communications inquiries or to share your stories or experiences about positive ministry projects in the North, please email [email protected].